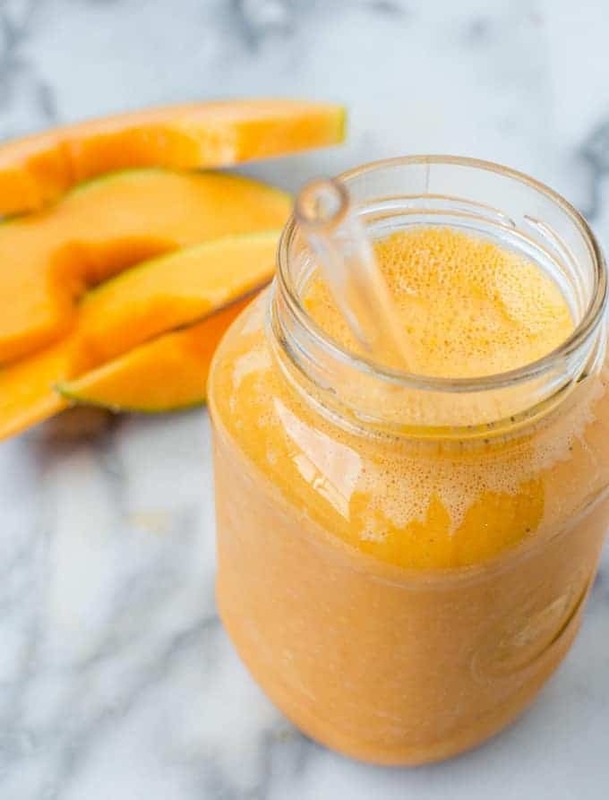 A refreshing smoothie packed with vitamin C and vitamin A! Featuring fresh cantaloupe, pineapple chunks, and carrot juice. 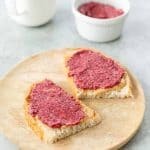 Bring on the day with this breakfast drink or enjoy as a pre-workout snack! As a group fitness instructor, I know a little something about fakin’ it. I’ve got to be on even when I don’t want to be. Three mornings a week, I teach a 6am aerobics class an hour away. That means when the alarm goes off at 4:30am, I’m headed off to motivate others to work out- even if I’ve only got a few hours of sleep myself. Yeah. I’ll be honest, 90% of the time when I hear my alarm (currently set to “Turn Down For What”, naturally), I plead with my subconscious that it’s only part of my dream. Please don’t let it be morning yet, I’m somehow never ready. After hitting the obligatory snooze button and running through every excuse I can think of for trying to get out of teaching that morning, I’m up. Coffee made, lunch packed and out the door before the sun is up. But here’s the most important lesson I’ve learned in the years that I’ve kept this schedule. However sleepy-eyed and curse-filled those early mornings can be , I’m ALWAYS glad I went. Always. I can’t remember a time that I was upset for getting out of bed and knocking out my workout- before most of the world was getting out of bed. It’s what I call faking it ’til you make it, a good reminder when our health goals seem too daunting. Sometimes the best advice when we are dreading a workout is just to start it. Don’t think about the mileage in front of you, focus instead on the first 10 minutes. Because, more often than not, once you start, you wanna keep going. And, I’m willing to bet, once it’s over and done with- you are glad that you started in the first place. It’s like the universal catch-22 of exercise. The same goes with vegetable eating. I thank my stars everyday that I haven’t met a vegetable I didn’t like. Even you fennel, whom I enjoy in small doses. But I know everyone doesn’t share in my undying love for veggies. Like, for example, my husband. Eating vegetables is kinda like exercising when you don’t want to. Instead of passing them up, sometimes you gotta fake it until you make it. 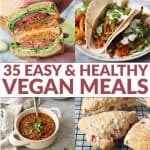 While I am all about introducing vegetables in all their glory, I also love the creativity of hiding them in yummy foods. 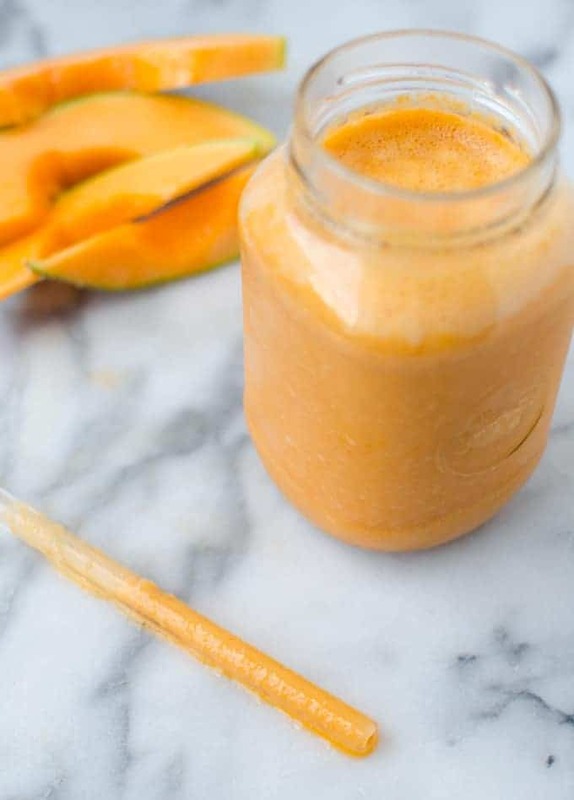 Like this sneaky vitamin C smoothie. This smoothie taste like a delicious cantaloupe/pineapple shake- with a secret cup of carrots and omega-3’s. It’s a great drink to kickstart your day. Except this smoothie is wayyy better than a 6AM spin class. For starters, it’s got 200% of your recommended vitamin C intake and 60% of your vitamin A. For only 260 calories, you also benefit from 8g of fiber and 8g of protein. Place all ingredients in a high powered blender and puree until smooth. Serve immediately. 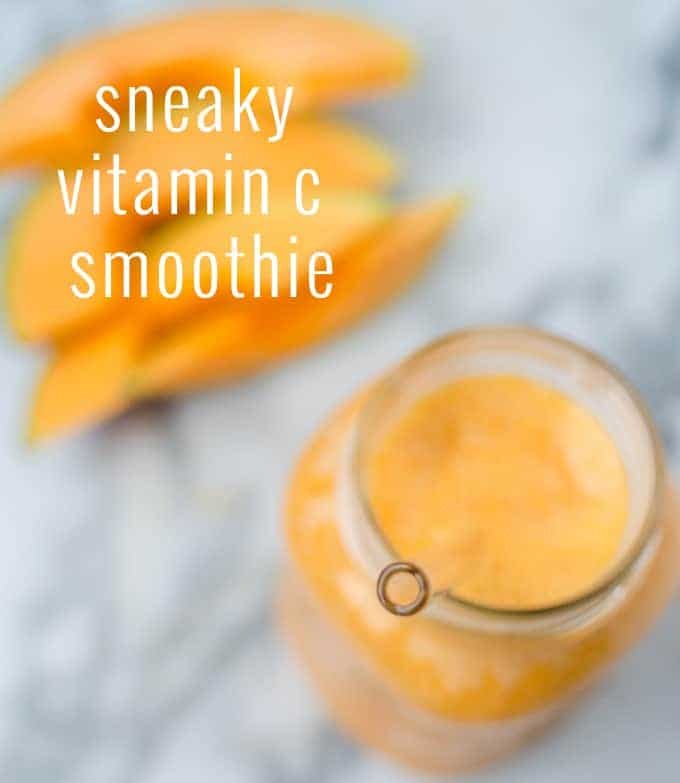 Sneaky Vitamin C smoothie for the win. 1. What’s your favorite way to motivate yourself to workout? 2. Have you tried carrots in your smoothie before? Wow 4:30am to drive an hour!? That is serious motivation!! I usually only workout in the morning on weekends or during the week when I have plans that evening… usually the plans I have later in the day are my motivation, I know I will feel great and accomplished all day getting that early morning kickstart to my day. What are the ratios of the smoothie?? I’ve never added carrots to a smoothie but I love carrot juice. OMG I forgot to put the recipe in! Facepalm. No more blog posts late at night! I’m with you on morning workouts! If I don’t get it done in the morning, it’s usually hard to find the time by the end of the day! I’ve been eating so much canteloupe this summer love it. I used to teach a couple classes a week too but never got up at that hour! Wow that’s dedication! ooo that does sound a bit early! But I know what you mean, you never regret getting some exercise! This smoothie has such a beautiful colour. Carrot and the melon together would be so nice! I love your alarm! Literally, that’s what I’m changing mine to right now. Mine’s currently set to some tune of gongs and bells. Thought it would help me be more zen in the morning. NOPE! Makes me want to go back to bed! I love the 4Am schedule and keep thinking of how the heck I could do that with two kids. I get to bed at 10 and still have such a difficult time waking and worry I’m not getting the sleep I need. Will try out the combination you’ve have, it sound great! Thanks for posting! Ha! Now that I’m a mom myself…. the early mornings can be tricky! Hope you like this one, it’s one of my favorites!